Jason Trefts – aka Elemental Zazen – is a hip-hop songwriter and producer who has worked with the likes of Canibus, Kool Keith and Murs. 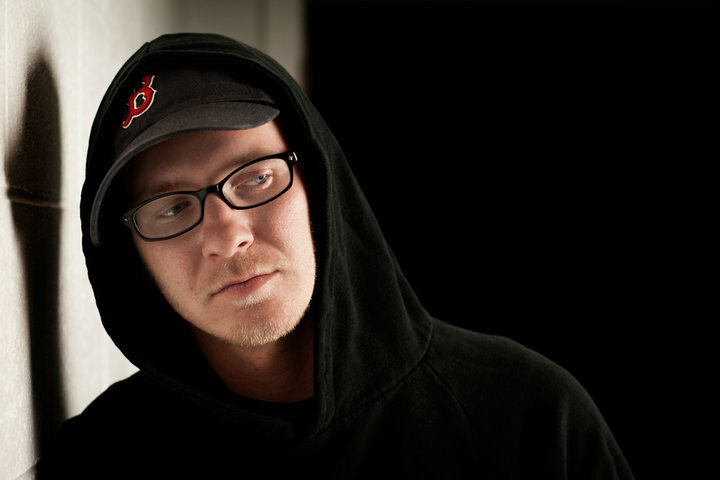 In 2008, the Boston Globe featured him as “Five Locals On The Verge” with the release of his sophomore album, “The Glass Should Be Full.” Trefts, 28, is an American-born TCK who has lived in Saudi Arabia, China and the United States. Having released his long-awaited third album, “Nothing To Lose But Change,” this year, Trefts is now a working on his PhD in sociology at the University of Washington. 1. When did you first realize that you wanted to become a hip-hop artist? When I was in 4th grade, I went to the states for the summer and this kid I knew had a Naughty By Nature album with OPP. That first album shaped me. And when Public Enemy dropped Apocalypse 91, that album changed everything. Chuck D always sounded like he was conveying something important to me. I just started emulating his stuff. I just feel like in the early 90s if you were a kid at the age, everyone just wanted to rap. They might not say it, but everyone wanted to. I have good rhythm, verbally I feel like I could just do it. It’s a mixture of three things: I’m talented, I’m easy to talk to and I’m friendly. Being a Third Culture Kid is huge help for me because for the most part I work with people who are more in tune with the struggle, like Canibus and Jean Grae. Coming from that struggle, I just get along with those people better, because of how I grew up. I feel like a Third Culture Kid automatically has respect from people, you don’t even have to try. 3. What would you say are the main differences between your three albums? The first one (“The Adolescence Weapon”), I was a kid. I finished it when I had just turned 21, and I think that one was where I was at the time. It was about drinking too much, taking meds and being a mess. The second (“The Glass Should Be Full”) was more serious and reflective of what was going on. This third one (“Nothing to Lose but Change”) is more mature, sounds more polished and has more potential. I wanted to make something that I could make and reach someone who doesn’t listen to rap. 4. As an artist, what do you feel is the most important thing listeners should take away from your political and personal views of the world and life? The commentary I’m making is now less about politics and more about life. I’ve done the anger towards the government stuff, but for the most part I want to talk about how we get like that. I want to make sure my impact on the world is in the most positive manner I can. I’m more about philosophy and happiness than sadness, and music is a way for me to release the sadness and try help people feel better as well as myself. I feel better after I write something in a song rather than talking about myself. 5. Who was the one artist you were most excited to work with? When I was a kid, Canibus was the most talented rapper in the world; he could’ve been Jordan. There was such a buzz about him; so it’s just nice have the opportunity to work with him. I was very lucky. 6. How does being a TCK benefit your career? Connections for one. I did a European tour and the majority of the time I was sleeping at my friend’s places or friends of friends’ houses. Like when I was in Paris I stayed with a friend of a friend who I met at one night in NYC. Having access to connections, as well as people having connected crews. People are all over the place and they’ll come out to support you wherever you are. 7. Is there anything about being a TCK that held you back in your career? There’s a negativity that people feel threatened by because you’ve experienced so much more culture. That’s why people hang out with people they grow up with; it takes people longer to make friends. As a TCK, I went from knowing everybody to not knowing anybody. 8. In 2006 and 2007 you were hit with personal losses: Your house burned down, you lost your cat and then you were diagnosed with a brain tumor. After everything that happened, what was your biggest driver to get back to your music? Well if you put things into music, you don’t need to talk to people about them. I could just make a song about it. 9. Why are you getting your PhD in sociology? I’ve changed a lot. I’m at a point in life when I know I don’t know everything. Being a person who grew up overseas, you have this sense of entitlement. We know about other cultures, so I think that made me more self-assured, but now I’m at a point when I know that’s not all true. So now I’m trying to get close to the world. 10. What advice would you give to TCKs who want to pursue a life in music? Don’t forget about the people you knew before you made yourself [into an artist]. TCKs don’t have a city or place to claim, we have experiences. It’s like all TCKs are from one city. An actual African-American hailing from Botswana and the USA, Wazha grew up in Belgium, Botswana, Sweden, London, China, Hawaii and now resides in New York. Wazha currently lives in New York City where he works for travel marketing company Kartagener Associates. He has worked as a travel consultant for over six years and is also one of the founders of Young Travel Professionals.